We are finalizing our 2018 Pumpkin Festival Sponsors and we would be happy to have you join us. Please take advantage of the link to our sponsorship packages to learn the great ways we can work together for the kids, the event and your company’s visibility in the South Jersey Community. Our vendor return rate is very strong but we do often have openings. Please feel free to download an application and send it to the address listed on the form. We are looking for volunteers to participate in this great day! Volunteers must be at least 15 years old or volunteer with a parent, teacher or club advisor. Please use the following link to sign up. Pre-reigstered volunteers receive parking passes, and a free event t-shirt. 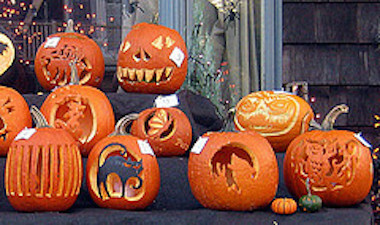 Enjoy participating in some of the many Festival Contests including the Pumpkin Carving, Costume and Talent Contests. 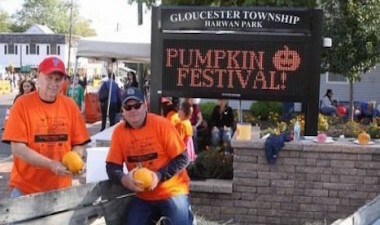 Ah, fall – time for pumpkins, cider doughnuts, leaves splashed in color, and the 25th Annual Blackwood Pumpkin Festival sponsored by Mainstage Center for the Arts, Beneficial Bank, and others. This year’s event takes place Sunday, October 7, 2018, 11 a.m. to 4 p.m.(raindate: Oct. 14th) in and around The Studio at Mainstage, 27 South Black Horse Pike, Blackwood, NJ. The festival draws 10,000 people each year to enjoy food, games, music, shopping among 200 vendors, and four stages of entertainment. 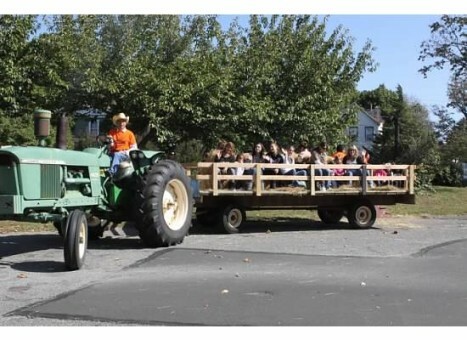 Activities include pumpkin painting, hayrides,amusement rides, Scarecrow making, bounce houses, a pumpkin carving contest, face painting, a costume contest, talent contest and more. All proceeds benefit Mainstage Center for the Arts, a non-profit organization committed to providing affordable, quality arts education and entertainment for the South Jersey Community. One of the newest event areas. 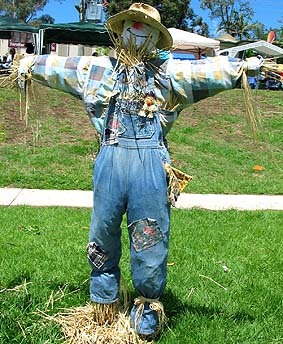 Families love building their own scarecrow to display proudly on their front lawns. Mainstage Center for the Arts has two face painting stations where children can have their whole face or part of a face done. Mainstage Game Row is located on Railroad Ave. (Purple Zone) where everyone is a winner. 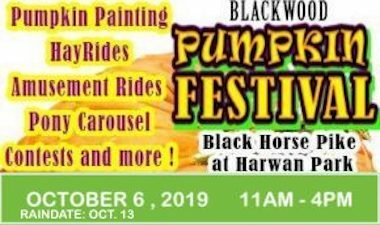 Blackwood, New Jersey comes alive on the first Sunday of October with entertainers, vendors, shoppers, and families who converge on the area for the Blackwood Pumpkin Festival. This tradition began in 1992, and this year marks its 28th year. Over the years, hundreds of thousands of visitors have attended. The festival, presented by Mainstage Center for the Arts (MCA), takes place Sunday, October 6th, 11 a.m. to 4 p.m., in and around the area of MCA’s Performing Arts Academy, 27 S. Black Horse Pike, with the Black Horse Pike will be closed from the intersection of Church Road through Lake Avenue. The rain date is Sunday, October 13th. Since parking in downtown Blackwood fills up quickly, free parking with a free shuttle bus service to the festival is available at Highland Regional High School, 450 Erial Road, Blackwood, NJ 08012. 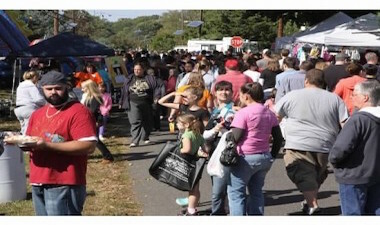 The festival features amusements, food, music, shopping, live entertainment, pumpkin painting, hayrides, moon bounces, a petting zoo, face painting, scarecrow building, costume contests, puppy parade; talent contest; Farmer’s Market with fresh produce, Mainstage studio treasure hunt, and more. More 101 FM is radio sponsor and personalities will be there throughout the day providing fun giveaways. For more information about the event, or to rent a booth, visit www.mainstage.org or call (856) 302-6485.